Providing you the best range of mq-2 gas sensor module alcohol gas detection module gas detector for arduino, mq135, air quality control gas sensor module, arduino, arm and other mcu kg058, mq4 methane gas sensor for arduino and mq-9 carbon monoxide gas sensor module with effective & timely delivery. This is a generic Arduino gas sensor. It has MQ2 probe which can detect LPG, i-butane, propane, methane, alcohol, Hydrogen, smoke. It can be used in gas leakage detecting device in consumer and industry markets. It has a high sensitivity and fast response time. The sensitivity can be adjusted by the potentiometer. The output is proportional to the density of gas. You can use analog reading to read the data from this sensor. To ease the difficulty of using this sensor, a Gravity Interface is adapted to allow plug and play. The Arduino IO expansion shield is the best match for this senor connecting to your Arduino. As this sensor, can work at 3.3V which makes it compatible with Raspberry Pi, Intel Edison, Joule and Curie. 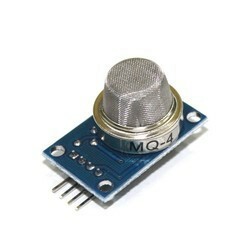 The MQ 135 Air Quality Detector Sensor Module For Arduino has lower conductivity in clean air. When the target combustible gas exists, the conductivity of the sensor is higher along with the gas concentration rising. Convert change of conductivity to the corresponding output signal of gas concentration. 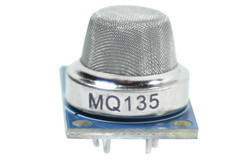 The MQ135 gas sensor has high sensitivity to Ammonia, Sulphide and Benzene steam, also sensitive to smoke and other harmful gases. It is with low cost and suitable for different applications such as harmful gases/smoke detection. Please NOTE that due to lighting effects, monitor's brightness/contrast settings etc, there could be some slight differences in the color tone of the pictures and the actual item! This is a very easy to use low cost semiconductor Gas sensor Module with analog and digital output. 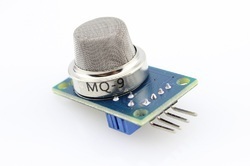 This module uses MQ4 Methane gas sensor as a gas sensing element. It requires no external components just plug in Vcc & ground pins and you are ready to go.For Digital output the threshold value can be easily set by an on-board potentiometer. Using this module you can easily interface MQ4 Methane (CNG) gas Sensor to any Microcontroller, Arduino or even Raspberry Pi.Since this Gas Sensor module is sensitive to Methane it is also small sensitivity to alcohol & smoke. Specification of MQ4 GAS Sensor Module-Power Supply 5 VoltsInterface Type Analog & DigitalHigh Sensitivity to Methane & small sensitivity to smoke & alcoholLow Cost.Stable & Long Life.On board Power indication. Looking for GAS SENSOR ?